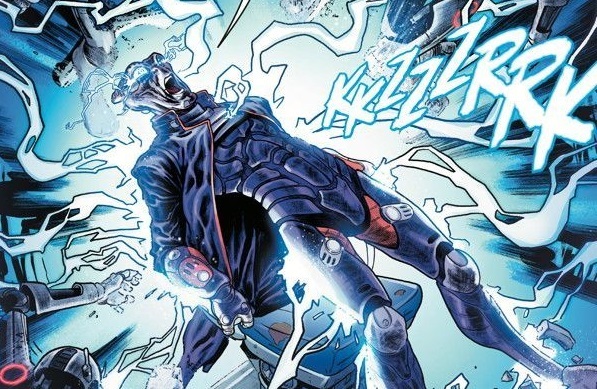 After the Green Lantern Corps fends off the last of the Ravagers, Simon is told by his Ring to leave for Earth, where he has a separate mission waiting for him from the Guardians, who are completely cut off from communication from all Lanterns. 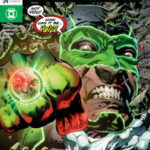 The remaining Lanterns-Jessica, Hal, Kilowog, Guy, and Kyle-suspect Simon has betrayed them, especially Jessica, who was instructed not to trust Simon after he is seen standing over the dead body of one of the Guardians, who are supposed to be immortal. 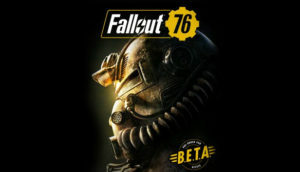 The rest of the Corps relocate the survivors of the attack on Penelo to a new planet, where they can start to rebuild after over 90% of their population was wiped out by Ravagers. 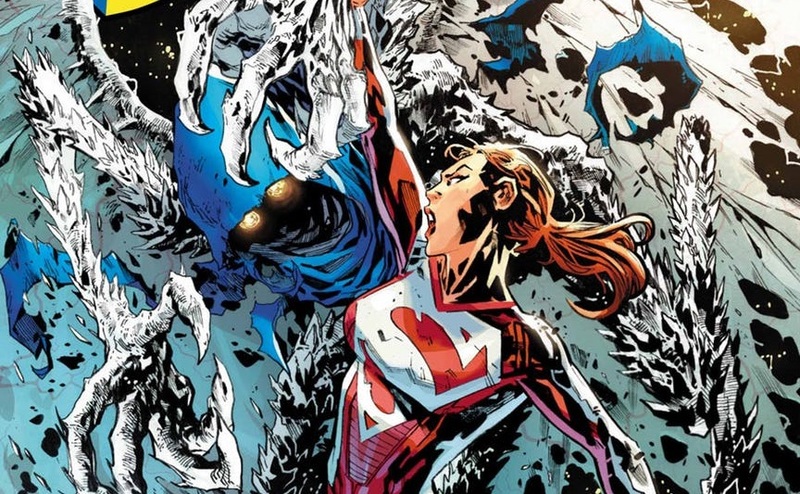 Simon travels to Earth where he is sent to the Fortress of Solitude and receives a crackly transmission from Superman that he’s been trapped by Brainiac inside the Fortress and needs Simon to free him. Upon busting the final door to free who he thought was Superman, Simon finds out his ring was possessed by Hank Henshaw: The Cyborg Superman! Beaten into submission, Simon lays sprawled on the icy ground while Hank flies off, finally free. Stumbling back into the Fortress, Simon picks up an alien gun, his distrust of the Ring returning. 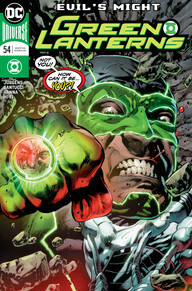 Another heartbreaking issue, Dan Jurgens shows he can bring the Green Lantern Corps. to a whole other level with the emotional weight of Penelo’s destruction fresh in everyone’s mind as Jessica is once again showing how truly caring she can be. Simon was far too easily corrupted. My biggest complaint so far in this whole arc is how dumbed down everyone seems to be. They have proven their intelligence far too much for this whole rookie thing to be believable for Jess and Simon. Hal, Guy, Kyle, and Kilowog all seem to distracted by one simple thing when they could be dealing with more than one thing at once. 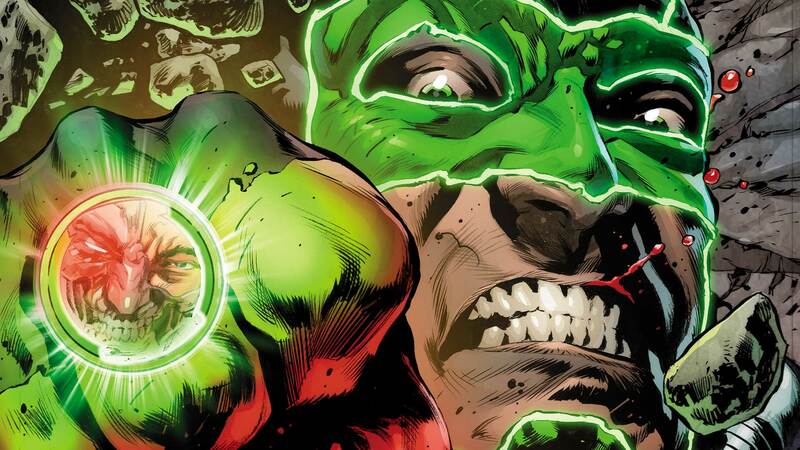 The Green Lanterns seem to have lost their competence in this arc. 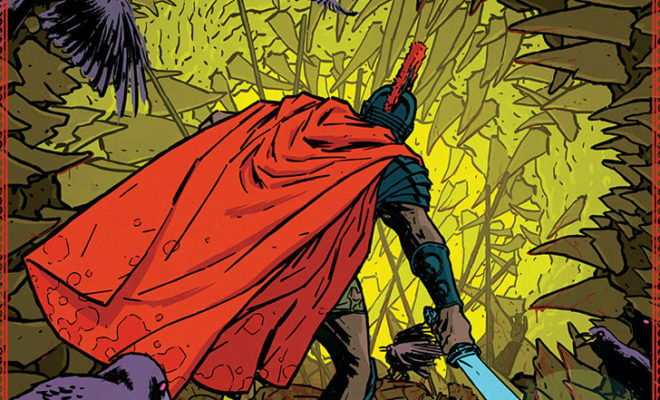 Marc Santucci’s art was definitely the best part of this issue. His style for alien design fits perfectly for the characters and I want more of it. Facial expression is good. Not great but he conveys the message with it. The way he draws body expression is absolutely wonderful though, with each movement fitting the characters perfectly. Hi-Fi’s colorings were vibrant and well shaded and mixed with the art well. The ring corruption storylines seem overdone, but this has been an enjoyable arc so far with this issue standing in place with the others without rising above at all.